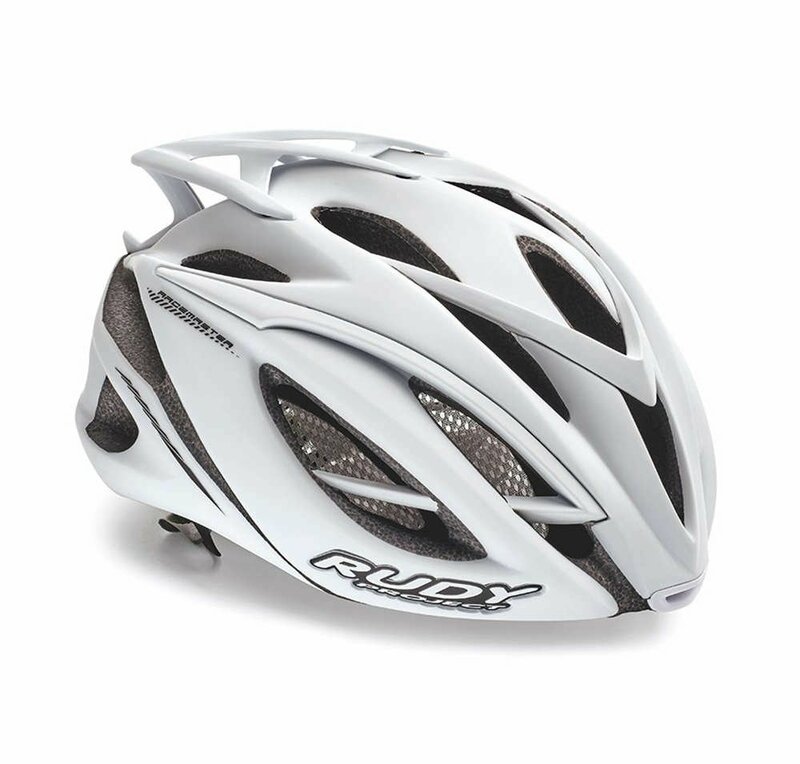 Built for extreme performance and unparalleled protection, the Racemaster is Rudy Project’s latest cycling helmet creation with an aggressive design. Featuring cutting-edge safety tech, such as Hexocrush and MIPS®, along with reflective straps and integrated safety reflectors, the Racemaster sets a new bar in helmet protection. MIPS mimics the brain’s own protection system with a unique low-friction layer between the head and the helmet. MIPS is scientifically proven to reduce some of the energy from an angled impact from nine accelerators in a Hybrid III crash test dummy head.The dummy head wearing a helmet was subjected to an angled impact using the MIPS test rig. Originally inspired by conehead technology and developed be extremely lightweight, this entirely new structure is one of the most advanced Rudy Project solutions. And it is designed to maximize your safety by ensuring unprecedented level of security. The helmet liner is molded with two different foam densities and the hexagon-shaped structure provides improved shock absorption by dissipating impact forces sideways and radially. 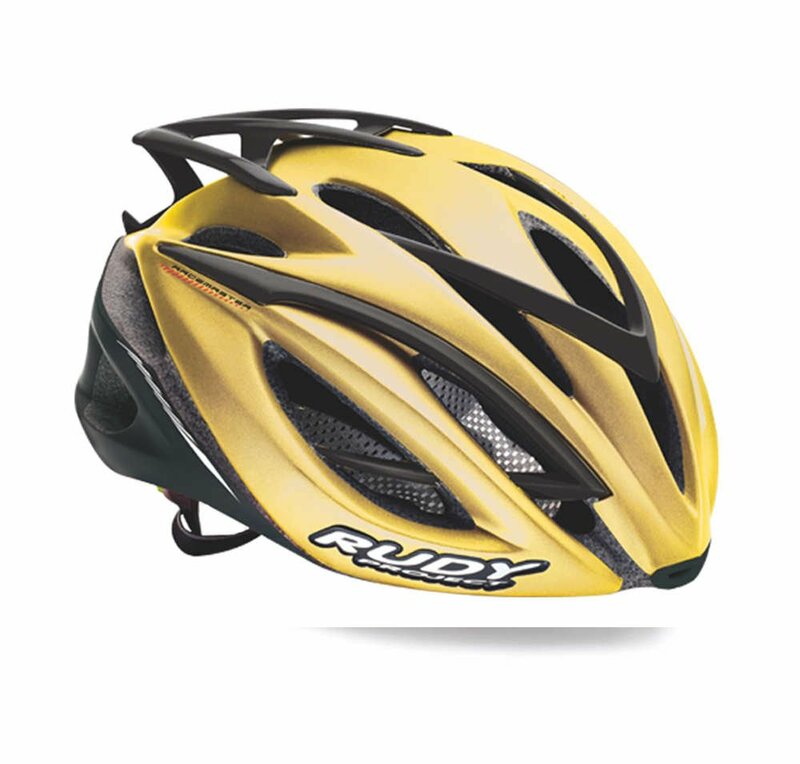 Thus, the Hexocrush reduces the g-force pressure on the head in case of falls or impacts. The new ‘Garage Eyewear Dock’ provides an innovative system to hold sunglasses at the back of the helmet, and prevents contact between the sunglasses’ temple arms and the user’s head.